Jewelry designers come to Taba for the ease of bringing a project to completion under one roof. There are no minimum requirements. Below are brief descriptions of Taba’s standard workflows. For more information about each department, see the service pages linked below. 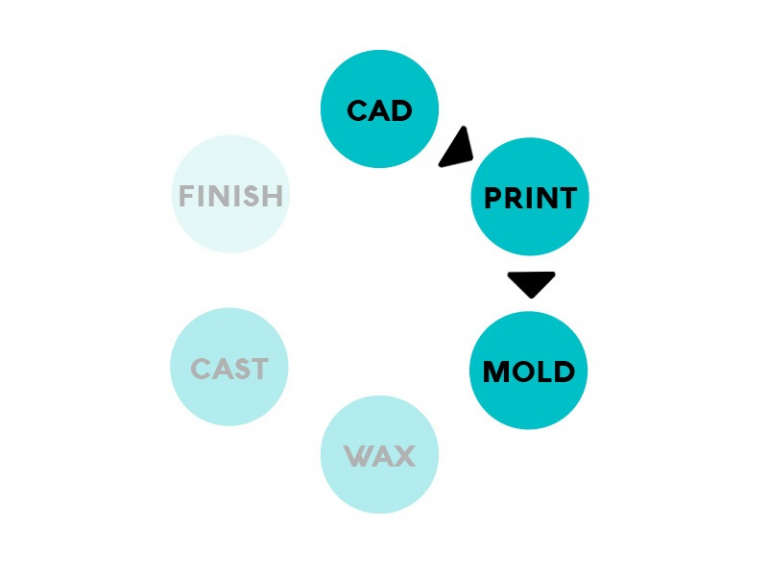 Taba will design a piece to your specifications, print it in wax, and make a mold of it. This is ideal for those who are beginning with an idea or sketch of the design, or have a file needing modifications, and intend to produce multiples of it in metal. Taba will design a piece to your specifications and print it in wax. If you are prototyping, getting ideas from sketch to wax is an essential first step to seeing the first drafts of your design in real life. 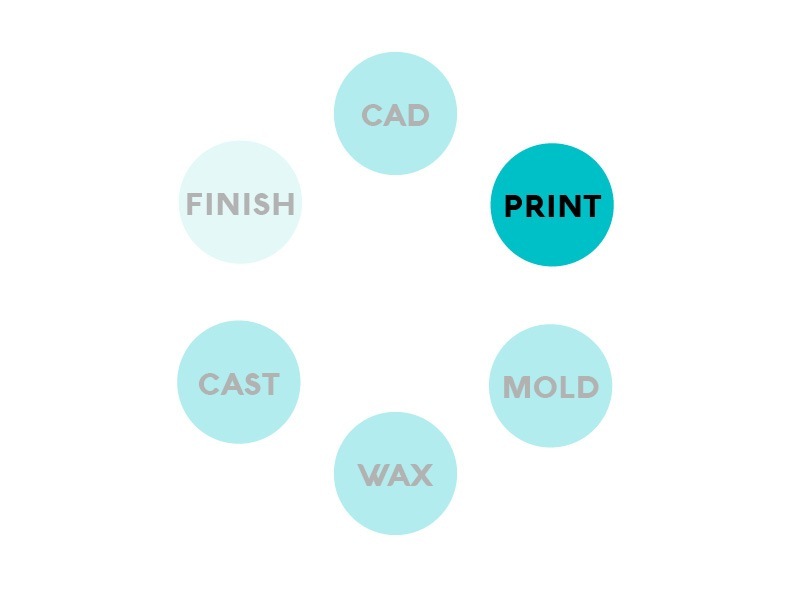 Taba will design a piece to your specifications, print it in wax, make a mold of it, and cast in metal. 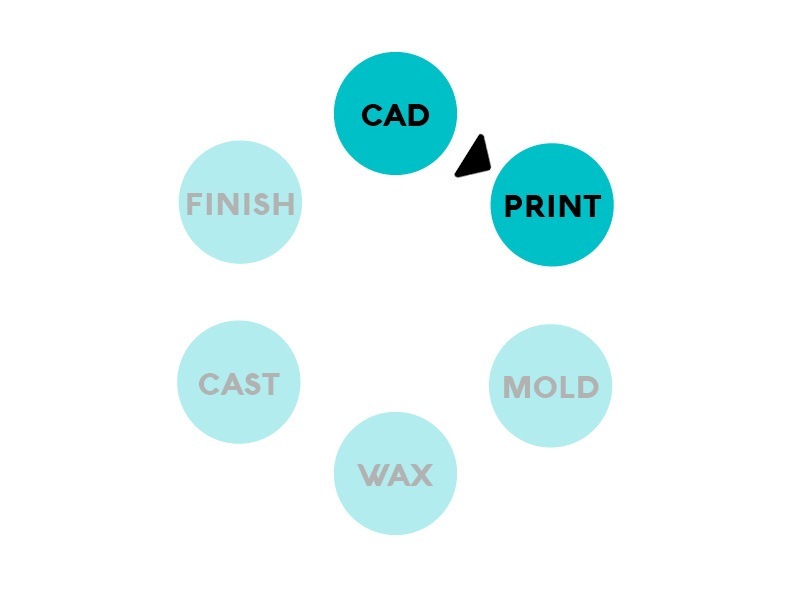 Whether you’re beginning with a sketch on paper or you already have a 3D file that needs modifications, this service group takes you from a 3D file straight into a metal piece. Finishing is available for all casting orders. Taba will design a piece to your specifications, print it in wax, and cast it in metal. 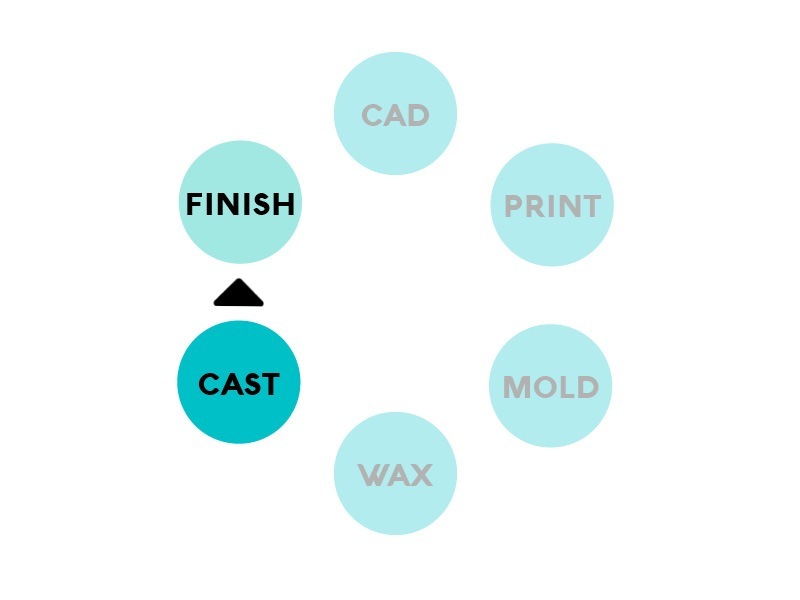 Finishing is available for all casting orders. 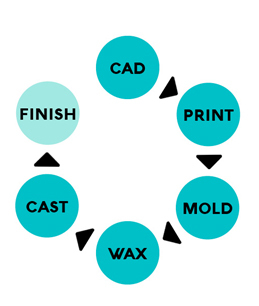 Your provide a 3D file, which we will print in wax using CPX or Solidscape machines. Good for seeing your file in real life before proceeding with casting. 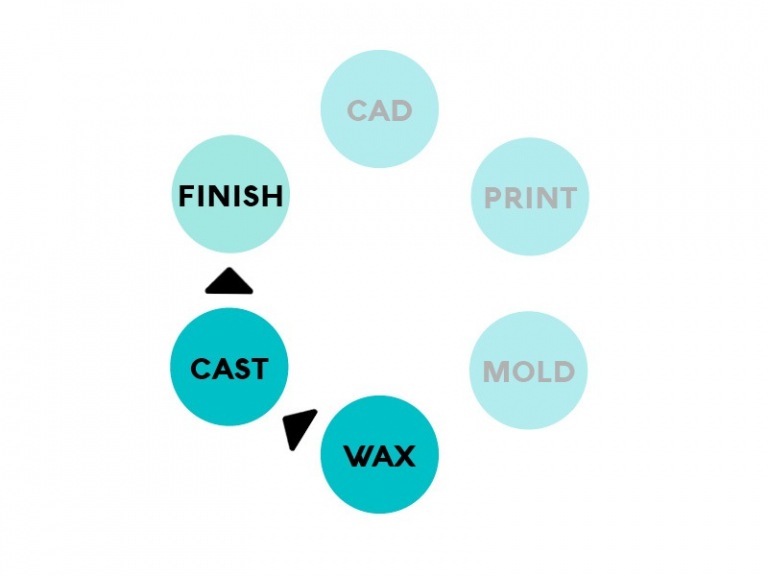 Your provide a 3D file, which we will print in wax, and then make a mold of the printing. 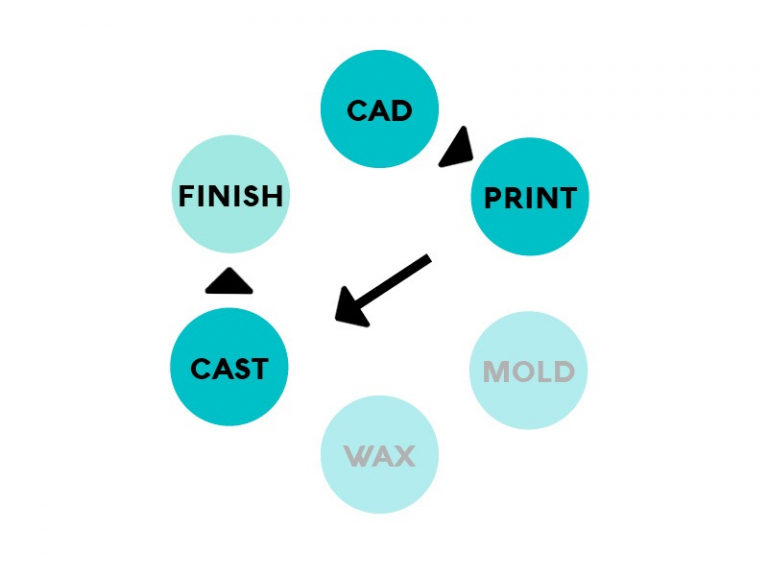 Make a wax printing of your file, mold it, and cast in any quantity and any metal. Finishing is available for all casting orders. 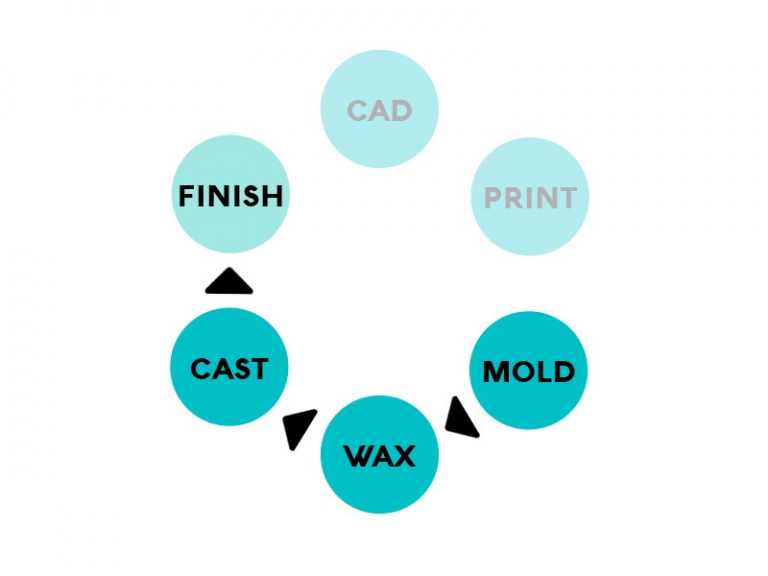 Make a mold of a found object, a wax model, or a metal prototype; and then cast from it. Finishing is available for all casting orders. 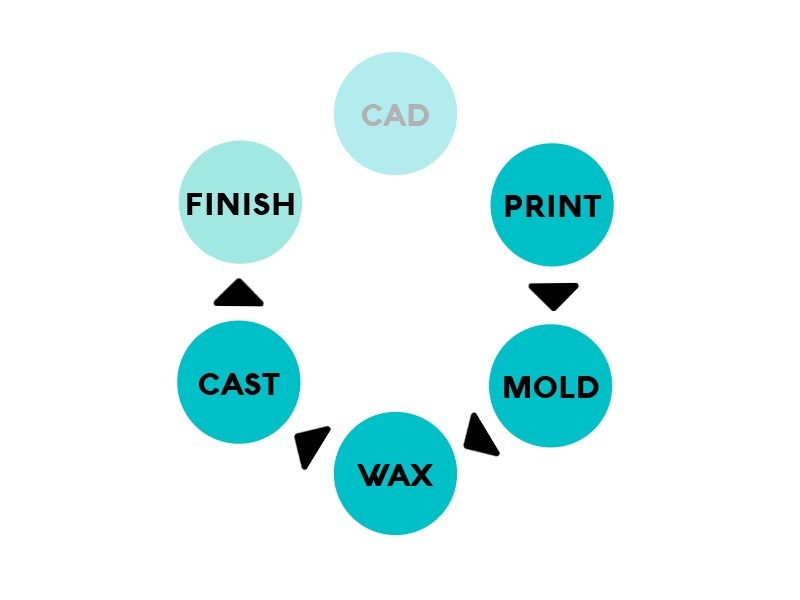 Send in carved waxes to be cast directly into metal. 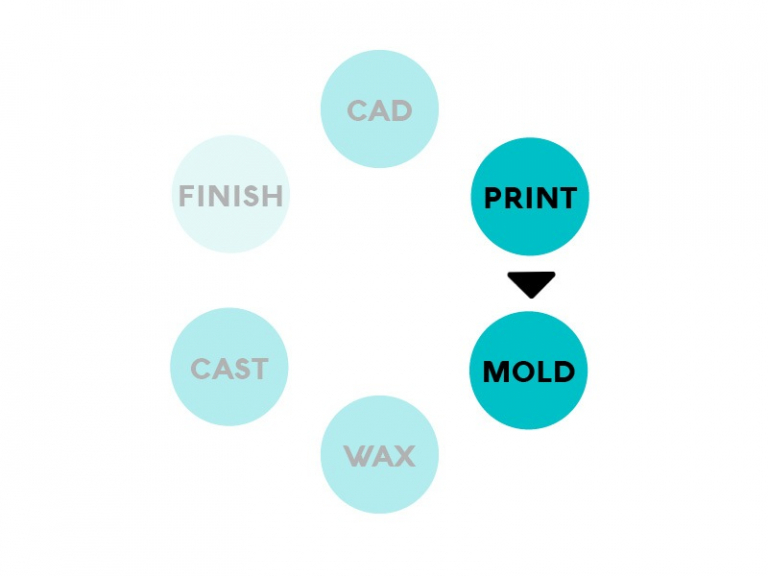 For quantity production, please consider making a mold of your wax. Finishing is available for all casting orders. For non-wax items you wish to cast, please refer to this article. Sometimes you want to make modifications or add surface textures to a molded design. 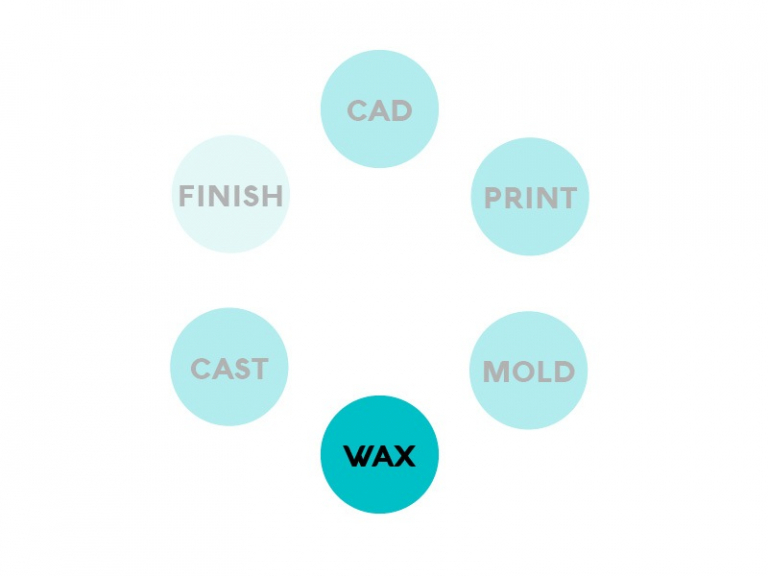 You can order waxes from your molds, tinker with the waxes, and bring them back for casting. If you have a mold already stored with us, you can order any quantity to be cast in any metal. Finishing is available for all casting orders. If you have castings that need some preparation for the bench, you can bring them in for finishing. We offer several finishing options in-house. 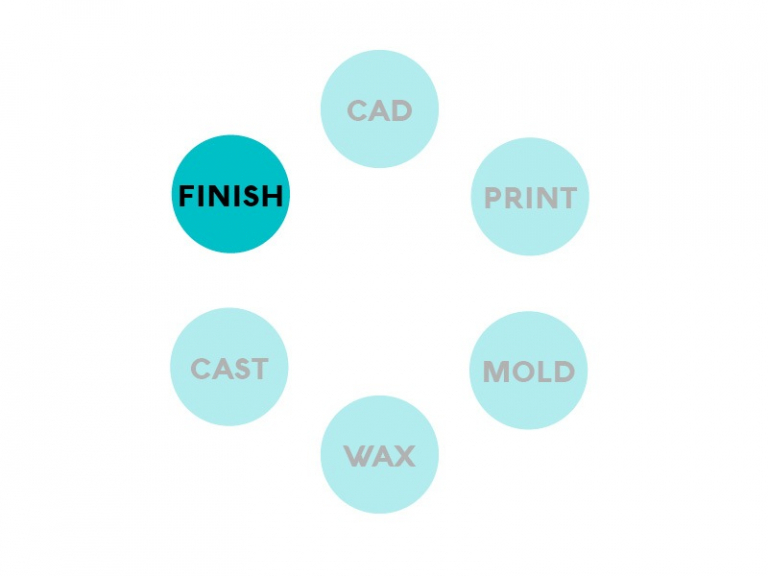 Read more about the finishes we offer.